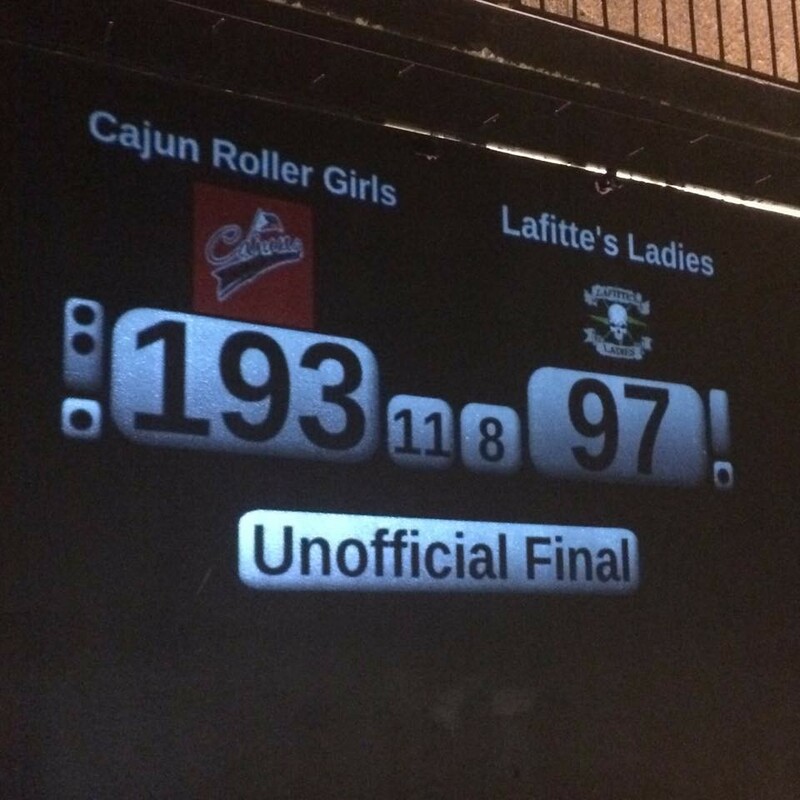 It’s official, CRG Nation – your Cajun Rollergirls close our 2015 home slate with a victory at Big Warren over Gulf Coast Rollergirls’ Lafitte’s Ladies. Thanks to Lafitte’s for giving us a great game. We’ll return the favor next Saturday, as we travel to Sulphur to close our 2015 season in a rematch with Lafitte’s!